Across the UK our towns are still struggling. Every month another shop closes; each time we walk down the high street there is another boarded up window. Why? It's true that as a nation we are still recovering from the recession and most of us are still having to hold on tight to those purse strings. But we are recovering, albeit slowly, so why are small, independent shops still closing? It's simple really – if not enough people spend money with them, they can't afford to stay open. Ask yourself – do you automatically head to the supermarket to do your weekly shopping, the national brands for your paint and DIY needs or the chain stores for your clothing? We don't blame you – most of us do it. With almost everything you need under one roof, it's a quicker way to shop. But by spending a little more time, you can't beat the 'Buy Local' experience. Buying your meat from the butchers and knowing the person you're talking to knows their stuff. Opting to buy your paint, rollers and varnish from the independent decorating shop or hardware store and being able to ask advice from someone with firsthand knowledge rather than the slightly bewildered Saturday employee (no offence!) Popping into a local deli to sample various cheeses, meats and chutneys. Heading to the specialist stores for your spices, sauces and tropical fruit and veg. Going to a boutique for that wedding outfit and having the peace of mind that you won't be one of five people wearing the same dress. This is what thebestof's Buy Local campaign is all about. We want to support those 'little fish' as well as the big ones. We want to showcase the wonderful independent shops and businesses Watford has, but which may not be getting the attention or business they deserve. Just take a look at thebestof Watford's recommended businesses and you'll find a wealth of local gems, including furniture shops, garages, dressmakers, sign makers, estate agents, blind and curtain specialists, printers and graphic designers. When it comes to each and every one of these businesses you could opt for a national brand. But ask yourself – will you receive the same level of service from a chain? Will the person you speak to be as heavily invested in the company, its success and reputation? Will they know the area? You may save a few pennies by going with a national name (although this is not guaranteed), but what are you having to compromise in return. Those of you who are familiar with thebestof Watford will know that we champion independent businesses 365 days a year. However, we understand that sometimes people need a kickstart; an incentive to shop with the local businesses they may have walked past for years but never actually stepped foot in, or the retailer you used to visit regularly but is just that little too far away to be 'convenient'. Buy Local week is taking place from June 2nd to 8th 2014. Simply visit thebestof Watford during that week to pledge your support for your favourite independent businesses and in return, you will be entered into thebestof's daily prize draw. 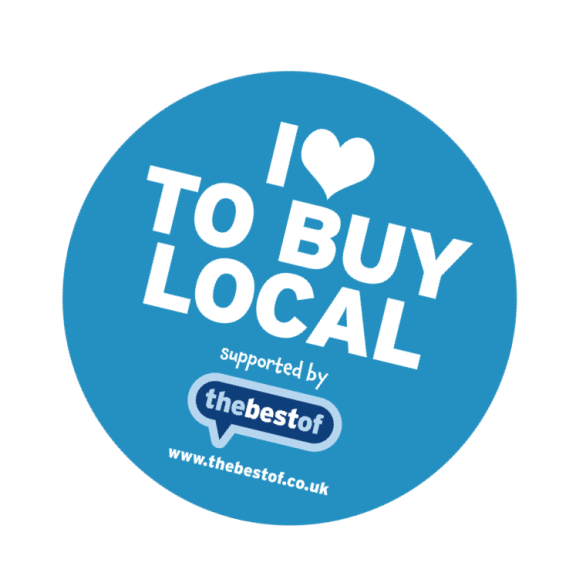 Every day during Buy Local week, five lucky supporters will win £100 to be spent at a local business listed on thebestof. What are you waiting for? Not only do you have the opportunity to win £100, but you will also be helping breathe new life into your local high street! Buy Local and everyone wins!